In Japanese, meaning of warui 悪い would be literally "bad." It's an i-adjective. Note, however, that a lot of times warui and its inflections have other meanings and usage, like to say "sorry," to say somebody is at "fault," to ask what's "wrong" about something, and so on. Since it can be pretty hard to tell which meaning exactly you're facing in any given phrase, I recommend you to read the whole article to familiarize yourself with all the ways warui can be used, rather than just reading a few sections. Other Words That Mean "Bad"
The adjective comes at the end of the sentence (before the copula) and describes the subject, marked by the ga が particle. The adjective comes right before the noun. In the phrases above, the grammar is pretty simple, and all you're is that something is "bad." Literally. However, sentences in the exact structure above than have figurative meanings. There are idiomatic expressions, etc. containing warui that won't translate to "bad" in English. We'll see that later, but first, some basic information about the word. The antonym of warui 悪い, "bad," would be ii いい, "good," which's never conjugated, and its sibling word, yoi 良い, which's used instead for when you need to conjugate ii. Sometimes, yokunai 良くない, "not good," is used instead of warui to say something is "bad." Naturally, something that is "not good" is consequently "bad," so it's more about word choice than meaning. Usually, when speaking about the action of others, yokunai is used instead of warui, probably because saying what someone is doing is "not good" is less direct than saying what they're doing is "bad." It's not always you can replace warui with yokunai. In particular, when warui is used idiomatically (to say "sorry," etc.) it can't be replaced by yokunai. The word warui 悪い can be used as an informal way to say you're "sorry" for something. Literally, it's closer to "my bad" than sorry. Technically, warui is more like admitting something is "bad." Since you're admitting it's bad, it sounds like you're apologizing, even though, literally, you are not. Because of this, warui is used when you make some trivial mistakes. It isn't an actual apology, like sumimasen すみません or gomen nasai ごめんなさい, so you don't use warui for serious stuff. Consequently, if a character really screwed up and all he can say is warui, other characters may get mad at him for not understanding the gravity of his mistakes. When the okurigana of warui 悪い is a small kana, it's read as warii 悪ぃ. This is a colloquialism: it's the same word, but with a more informal, relaxed pronunciation. Telling 悪い and 悪ぃ apart may feel a little difficult for beginners, but in vertical text the difference is more apparent, and sometimes katakana is used instead in the okurigana, 悪ィ, so it's not as hard as it seems. He's wrong. It's his fault. I'm wrong. It's my fault. Watashi ga Motenai no wa Dou Kangaetemo Omae-ra ga Warui! I'm not popular: no matter how you think about it, you all are to blame! No matter how I look at it, it's you guys fault I'm not popular! Context: a girl enjoys an audio CD. It's your fault, [you know]? E.g. stalker, abusive boyfriend, etc. It's better than I imagined. Tomoko is enjoying a CD in which yandere characters speak verbally abusive phrases into her ear. 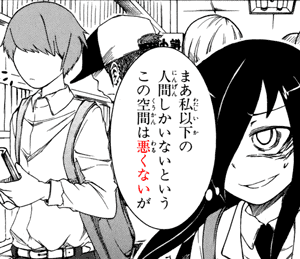 In the featured scene, the yandere boy narrates the girl (the self-inserted listener, Tomoko) is crying. We can safely assume he made her cry somehow. He says it's her fault he made her cry—she's the "bad" one, not him—because he saw her talking to other guys. This is a typical pattern in abusive relationships where the guy tries to monopolize the girl. 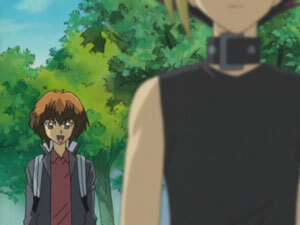 It's so typical there's even a name for it in anime: dokusen-gata yandere 独占型ヤンデレ, "monopoly-type yandere." The word warukatta 悪かった, "was bad," is often used to say you're "sorry" for something or someone is at "fault" for something, too. The main difference being that, since warukatta is in the past, the apology and blame refer to the past too. [It] was bad so [I'll] apologize. That was my fault, so I'm going to apologize. 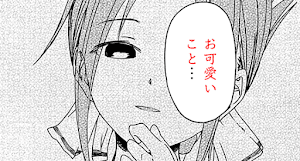 The word warukatta 悪かった is also sometimes used to admit specific actions were "bad." That is, to admit a "mistake" done in the past. And, consequently, to kind of apologize for said mistake. The word warukunai 悪くない, "not bad," is likewise used instead of ii, "good," to say something is good. Again, this is about word choice rather than meaning. After all, saying something is "good" sounds like a stronger endorsement than you might be committed to make. The word can be used, for example, when someone is offered food, and asked what they think about the taste. Or when something didn't go exactly the way the character wanted, but he's okay with how it turned out. It can also be used to deny that someone is to blame for something. He's not to blame [for this]. No matter how you think about it, I'm not to blame. No matter how you look at it, it's not my fault. The word warui 悪い can be used to ask what's morally "wrong" about something. Literally, it asks what's "bad" about it, but if you ask what's bad about it, it's because you're supposed to correct it, and if you need to correct it, it's because it's "wrong." Usually, characters that use phrases containing warui like this are doing something they believe is right, and questioning why everyone seems to be against them. What's bad about helping people? What's wrong about helping people? Where of that is bad? Which part of that is bad? To make a mistake doing something. To have chosen the answer wrongly. The verb machigau can also refer to something morally wrong. You have strayed the path of righteousness and justice, you villain! The phrase warui kedo 悪いけど, literally bad, but," is generally used when something you do wrongs someone, and is translated as "sorry, but." Sorry, but [I'] will have [you] let [me] pass through. Sorry, but could [you] die [for me]? Sorry, but [I] have no interest. Sorry, but there's no time. This phrase can also be used with the "fault" meaning. The phrase niwa warui には悪い is used to say something is bad for someone specifically. It's normally used in the form of niwa warui kedo には悪いけど, which usually translates to "I'm sorry for [...], but..."
It's bad for him, but let's go. I'm sorry for him, but let's go. We'll be wronging him, but let's go. He won't like it, but let's go. The word waruku 悪く is the adverbial form of warui 悪い. Grammatically, warui describes nouns (things) as being bad, while waruku describes verbs (actions) as being bad. 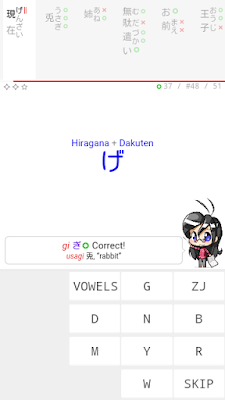 In Japanese, it's possible to conjugate a verb into a noun, then you can use warui with the verb. But in its normal verbal forms, you can only use waruku with verbs, not warui. The word warusa 悪さ is the word warui plus the -sa ～さ suffix. Literally, it means the "bad-ness" of something, but it's often used to refer to mischief in general instead. The cause for the bad-ness of the weather. The reason why the weather is so bad. The word warui 悪い is commonly found in a few set phrases that have negative connotations. Such phrases are interesting because, if you switch warui 悪い for its antonym, ii いい, you get a positive connotation instead. These refer to a morally good or bad person. That is, a warui hito is a villain, not someone who's bad at math or whatever. That person might be a bad person. Since warui is an adjective, not a noun, it doesn't refer to something bad in particular, it only refers to the quality of being bad. 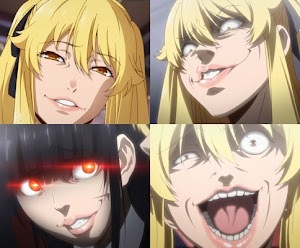 In Japanese, the noun koto こと tends to be used to refer to something bad. 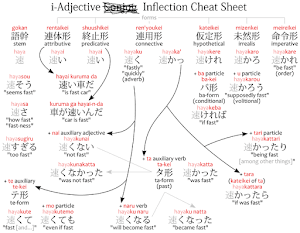 All of the phrases above can have the warui switched by ii, in which case it will be "good" adjectives (smart, lucky, behaved) instead of "bad" adjectives. Note that when using ga warui to blame someone—kare ga warui, "he's to blame"—then you can't switch to ii, as it will mean something else: kare ga ii, "he's fine." It's the cops! Run run run! The teacher is going to find out. Relaxed pronunciation of warui. Mostly used by delinquents in manga.